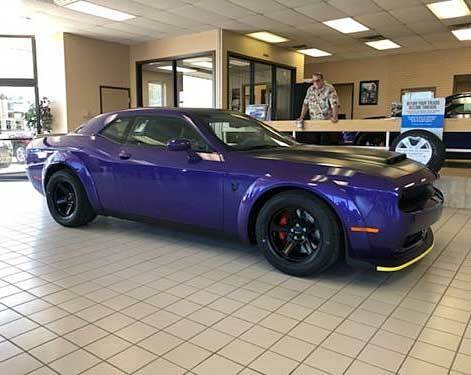 The Dodge Demon‘s showroom sales price was $86,090, but with additional options and charges could be touching more like $100k. If you shop around, examples are now starting to pop up from around $115k to roughly $140k on the used market, but with this example there are asking a whopping $500k. So why the high pricetag? 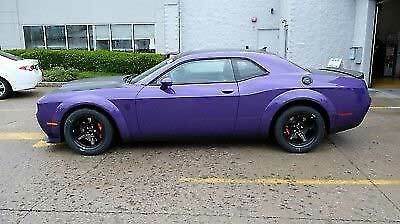 This plum crazy Demon is going for an asking price of $225k, saying that it is 1 of 173 made in Plum crazy Pearl. Other report online says 6% of the 3300 were made in Plum Crazy and White Knuckle, but no other mention of its act production numbers for this color, but it’s still going to be a low batch number for this heritage color in any case. This one has only 2 factory miles on the clock, Demon documentation, window sticker, accessories, booklets, floor mats, Demon car cover, leather bound Demon owners manual, Laguna & Suede Leather front and back seats, trunk carpet kit, 18 speaker option package, Engine Block heater, Red seat belts, Demon storage bag and Battery tender and Demon crate option (for this money you would also want a 24/7 dancing girl and probably a regular Challenger for your daily ride). It’s a brand-new vehicle with a rare color option and the option to make an offer on listing, so really the ultra high pricetag Can be just seen as pushing the boundaries of price to get that bit extra in reality. 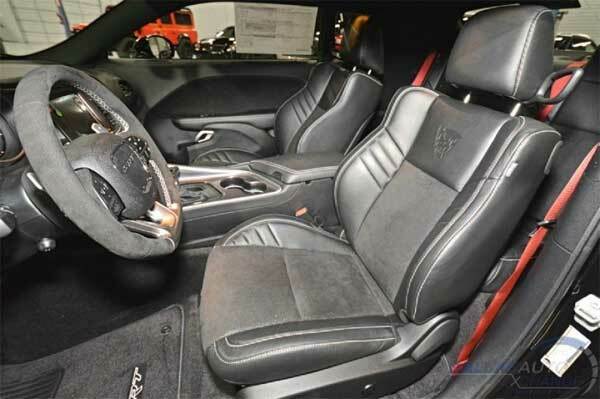 $225K is probably excessive for a Demon at this stage, but you never know in a few years if hype builds around its exclusivity, the price could still climb significantly. But to $500k, not sure. In any case, it would still be interesting to see what this one will eventually sell for or will the ultra high pricetag just simply put people off to buy one of the cheaper option Demons online.